Here are a few tips and tricks for self-published authors to help navigate some of the basics. Due to the number of people using mobile devices to access the Internet now, many sites, including your own website or blog should use optimised low-resolution images. However, for some, this is a difficult task due to the knowledge needed in image manipulation. But here is a very easy way to save a low-resolution image of your book cover. 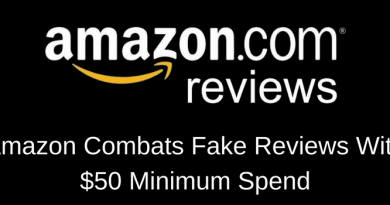 Go to your book page on Amazon, either Kindle or paperback version, but for some reason, Kindle is better, and look at the image displayed for your book. Right-click on the enlarged image and download your book image. It will be in low-resolution of 72dpi and suitable for use on any web or blog page. You can resize it by using any image editor if you wish. Now mobile users who view your blog or website won’t have to wait minutes for your cover image to load. One tremendous advantage of self-publishing with Smashwords or Draft2 Digital compared to Kindle or other publishing platforms is that you can download your published ebooks in different formats, for free. You can then send your ebooks to beta readers, book reviewers, book bloggers or your friends and family. 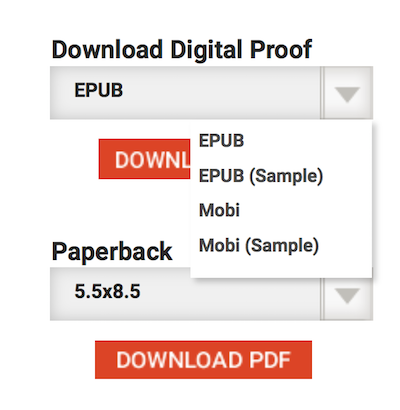 To download your ebook from Draft2Digital, go to your book in your book’s dashboard page. 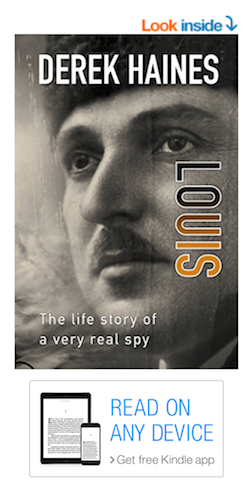 Then click on your book in your book list, and look at the bottom right of the page for the link. Smashwords have a similar facility to download a copy of your ebook. This is a very simple trap to fall into. Always check your Word document properties before publishing an ebook. 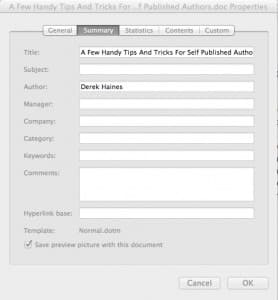 Go to ‘File’ and then down to ‘Properties’ and make sure your author name is correct. Depending on how your version of Word is registered, it may show a different author name. This name will be embedded into the HTML or XML of your ebook once it is published, so you do not want the name of your spouse or the silly name that was used to register the software on your computer to be advertised on the Internet for all and sundry to see. It annoys me whenever I visit an author’s website or blog and fail to find any social media follow or share buttons. They are not difficult to add, and the small amount of time it takes to add them is rewarded by the number of people who click on them and then become connected to you as an author. Because social media is so important in book promotion now, encouraging your blog visitors to connect with you and share your content is a must. On a similar theme, if there are no book buy links on an author’s website or blog, what are visitors supposed to do? Go on a time-consuming Google hunt? They won’t. Always, and I repeat, always have direct, one-click book buy links to Amazon, Apple and B&N or wherever else your books are available for sale. A potential reader’s interest lasts only so long, and is measured in seconds; so don’t waste their time, and miss an easy sales opportunity. 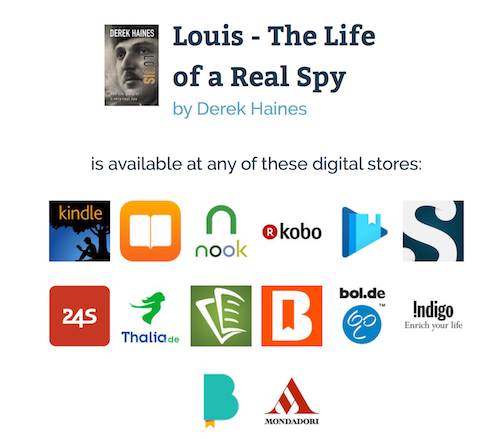 You can use universal book buy links such as I have used in the image below to give quick links to all your ebook retailers. You can read more of our how to articles and tips and tricks for self-published authors, or if you are quite new to self-publishing, you might prefer to read our Getting Started in self-publishing page. Thank you for the above advice. While I’m ‘rich in years…’ and writing experience (have published seven books/poetry/short stories,etc.,) I’m an absolute doughnut re technical aids. Luckily, I have a clued up and very bright son, who helps me. I’ll get him to put share buttons, etc., on my WordPress site. Thanks again. I just finished my book. However, I am not sure, as yet, what should it be the first move? Let me read it all over again. Than you a million times that now I have a courage to ask. I have a glimpse of idea and possibly would work out with a few questions to answer..
2. Sending out copies of your free ebooks. Is it customary to send free ebooks? what is Smashwords or Drftt2 publishingplatforms ? Is it platforms like Microsoft word meant for the internet? If so are they freely available in the internet to download or should we buy them? Is it published in different formats when used in Smashwords or Drftt2different only?. what is beta reader means? Does it mean read electronically. a) Is it common that the name could be changed than what it is in HTML or XML only when one registers its document with a different name. It was this morning that I felt free that I have to relax and set aside writing the book. It is time now what to do with it. It is my first time and at times scary though relieve. i hope that when the book is published, you will be one of the first few people in my mind to receive it freely. Hello, replying to B. Russo, I think the reason for your Author name to be correct in MS Word, is mostly for legal reasons, I don’t think anyone can see your MS word file if you send them a formatted copy of your book via a website. Might I have understood this wrong?